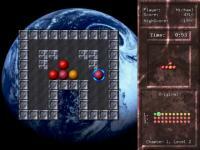 Description: LMarbles - Atomix-like marble game. LMarbles is very similiar to Atomix and was heavily inspired by it. within a time limit to reach the next level.